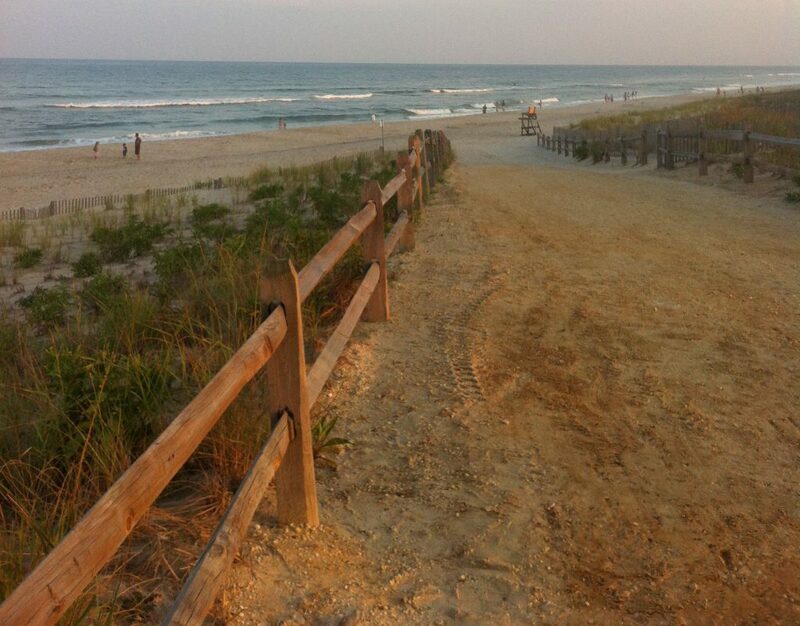 Since the announcement two weeks ago that Ortley Beach would be the first town to see beach and dune replenishment as part of a federal project on the barrier island, residents have been wondering how it would affect access – especially since the project will start in mid-April, then pause before resuming in October. 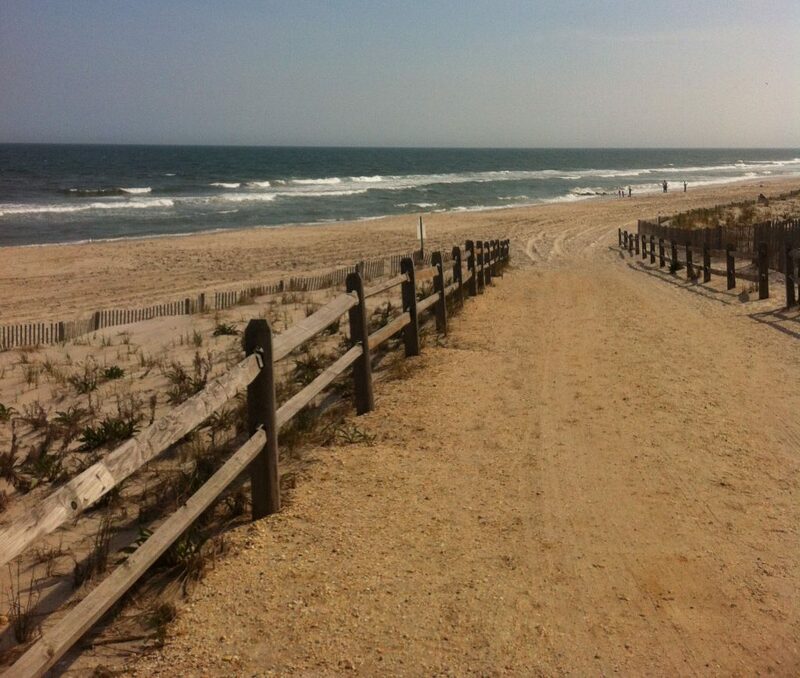 The township will have full access to its beaches, and will repair entrance stairways that were damaged during the nor’easter earlier this month, said Toms River Township Engineer Robert Chankalian. All entrances except one at Fort Avenue will be repaired, he added. The bigger news, however, is the new look the entrances will take on when the project is completed. 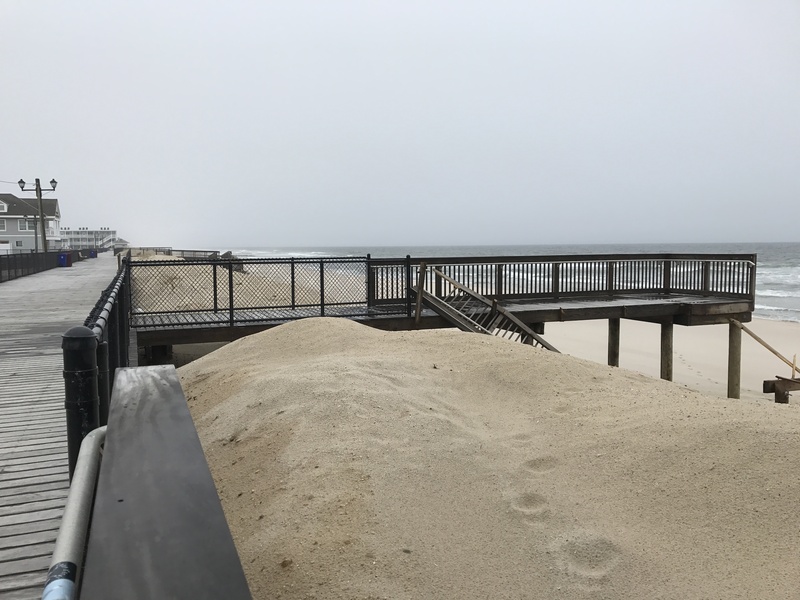 There will be no more stairs down to the sand; instead, there will be a gradual slope at a 45 degree angle to make sure there is no direct path for waves to funnel sea water through the dune line. “In the fall, when the new dune gets built, the staircases and ramps will be taken off,” said Chankalian. The boardwalk will remain in place, Chankalian said, as will the “bridges” that jut out from the boardwalk. But the stairs will be replaced with a natural, packed-sand entrance that is similar to the style of entrances used in Long Beach Island. The sand will “kiss” the wood walkover and be a smooth transition. Mobi-mats will be placed at the end of each walkover to make the beaches more accessible for those with disabilities, Chankalian said.